Find the best Intrepid Travel Europe trips. TourRadar offers 187 tours from Europe through 48 countries. The tours span across 2 day to 43 day itinerary with prices ranging between $65 to $1,116 per day. "Enjoyed Highlights of Italy tour this August. Especially enjoyed Venice, with its..."
"This is the best Intrepid trip I have ever been on ! 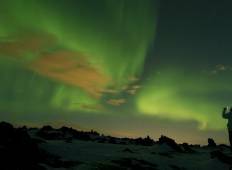 I knew Iceland was a natural..."
"All misconceptions were blown away! Beautiful cities; great visits and home experiences;..."
"Unbelievable vacation that was better than I thought it could be"
"Dinko, our guide, showed us an amazing adventure in the Balkans. This trip included..."
"Ali is extremely well informed and really strives to make your trip as varied and..."